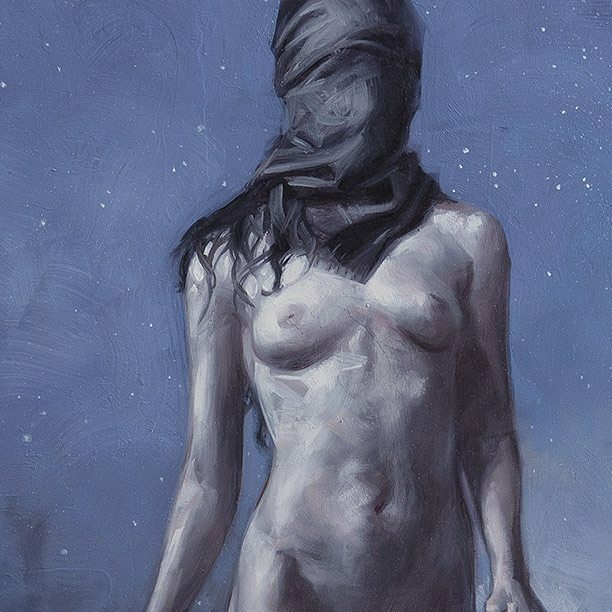 Recently, illustrator David Palumbo has been working on a new body of work for the upcoming show, "From the Depths", a group show inspired by H.P. Lovecraft's works at CoproGallery in Santa Monica, CA. Palumbo shares that this series' roots emerge from his piece 'Moon Children', a painting David worked on for a previous show at Jonathan Levine Gallery in NY. He is very excited with his new work, and we are happy to share it with you! Here's a sneak peek of what's to come, and should you find yourself in Santa Monica, CA on August 6th, be sure to stop in to CoproGallery and check it out in person.